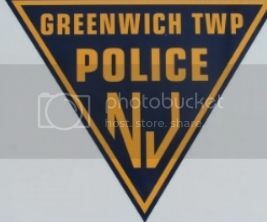 GREENWICH TWP. — Police caught three people in the act of stealing copper tubing from a vacant house on Thompson Avenue Tuesday afternoon. A caller reported the burglary at 3:23 p.m. and when officers arrived, the three allegedly were packing the stolen copper from the basement into a vehicle, police said. Basil A. Hill, 54, of Westville, Sandra L. Powell, 47, also of Westville, and Aloysius P. O’Neill, 53, of Woodlynne, each were charged with burglary, theft, possession of burglary tools, conspiracy and criminal mischief, said police. All three were lodged in the Salem County Jail in default of $25,000 full-cash bail each, police said. The trio allegedly admitted burglarizing a residence in Paulsboro, police said. Police departments in Gloucester and Camden counties were notified of possible burglaries, based on evidence allegedly found in the trio's truck, said police. Detective Sgt. Kevin Villanova, Ptl. Steve Gurik and Paulsboro Sgt. Chris Gilcrest made the arrests, assisted by Lt. William Leash.